Also going round the bookshelves in Waterstone’s on Friday, I found a book with the title, Foodbank Britain, or something similar. It was about foodbanks, and people’s experiences of using and working on them. This is interesting and very much needed. I’ve reblogged pieces before now from the website, Diary of a Foodbank Helper, as has Mike over at Vox Political and a number of other great, leftwing bloggers. ‘Diary of a Foodbank Helper’s’ written by a lady, who, as her blog’s title says, helped out at her local food bank. She describes the people she encounters, who come for its aid, and gives their often heartbreaking stories. These are hardworking people, who’ve been made redundant, or been forced to leave work through invalidity, who’ve found themselves sanctioned by the DWP under any one of the various petty excuses they use to make sure people can’t claim Jobseekers Allowance. Or else they’ve been declared ‘fit to work’ by ATOS/ Maximus, when they clearly are very much unfit for work. Against this, we have the continued lies of the Tory party, particularly the heads of the DWP Damian Green and Iain Duncan Smith, and poisonous former ministers like Edwina Curry. They repeatedly refuse to release the statistics showing how many people have died after being declared fit for work, and when they’ve been finally forced to release them, have fiddled them to make them misleading. They also repeat the lie ad nauseam that no-one in Britain is really starving, and that people are using food banks voluntarily, because they’re a source of free food. This has shown to be a lie over and over again, but they keep on repeating it. They’re all students of Goebbels, who said that the secret to successful propaganda was repeating the lie again and yet again, until enough people believe it. And aided by an equally lying and mendacious press and a disgracefully biased Beeb, people will. I didn’t buy it, as I’ve bought several books recently on poverty in Britain. But I thought this one was a useful addition to the armoury of books criticising government policy and the mass poverty its created. Unfortunately, I think we’re going to need many more of them before we can break the lies that supports the mass starvation food banks are intended to alleviate. Before going on to the underlying theory of the function of money in such a society as ours, it is necessary to establish that this is no less true of our third, last, and most startling plank – the proposal of giving people newly created money as a remedy for unemployment. For there is a very strong prejudice in our minds which almost compels us to suppose that giving away money for nothing in this way (by way, say, of old age pensions or children’s allowances) is a wild proceeding; that a government which did that would be for instance, far more profligate than on which spent a like sum on public works; that to give money away is sheer waste; that such a government would “get nothing for its money”. But this is not the case. The truth is that a decision to give people money is a decision to have more consumers’ goods and services produced, while the expenditure of money on a public works programme is a decision to have more means of production produced. That is the difference. All talk of it being waste and squandering to give otherwise destitute or severely straitened people money with which to buy consumers’ goods is nonsense. The money will circulate through the system at least as well if it is put in at this point as it will if it is put in at the means of production end. If it is given to the ultimate consumers, it will flow first into the hands of the producers of consumers’ good, next to the producers of producers’ goods, next to the banks, and finally back to the Government itself, just as surely as if it were spent on building new factories in the most orthodox manner. It is necessary to insist up this point, for our minds have been so condition that we almost all tend to believe that money given, say, to the unemployed, or the old, is spent and gone, used up once and for all-if not actually wasted-in a sense in which money invested (a much more respectable word than spent)in a new factory, or in public works, especially if they are of an income-producing type, is not. But there is not a word of truth in it. The one sum of money is spent on consumers’ goods, the other and producers’ goods. And that is all the difference there. (pp. 93-4). This is a point which the Keynsian economists cited by Mike over at Vox Political, and by the Angry Yorkshireman, have been making time and again. It’s entirely correct, and was one of the reasons Roosevelt’s New Deal was so successful. Is it, then, mere intellectual error which makes the dominant, ruling, financial section of the capitalist class so vehemently oppose all policies of this sort for re-employing the factors of production? We shall find, on the contrary, there is quite a rational explanation of their opposition. We have seen that private enterprise knows no way of getting extra money into the hands of the ultimate consumers except by employing them on the production of producers’ goods, or of durable goods such as houses. But now look at the proposition from another standpoint. From the point of view of the ultimate consumers, this means that they cannot live until they can get some private entrepreneur to employ them. It expresses, in a word, the dependence of the people of a capitalist society upon those who own the means of production. It expresses the monopoly of economic power which rests in the hands of these owners. It is precisely because all those who do not own, and have no independent access to the means of production cannot get money into their hands in any other way than by selling their ability to labour, that the owners are enabled to dictate the terms of sale of labour power. it is this which enables them to reap for themselves a rich harvest of the fruits of the labour of others. But what if a new channel is dug by which money can come into the hands of the mass of the population without their having to sell their ability to labour to the employers? To the extent that this is done the employer’s hold over the population is weakened; his power to dictate the terms of employment, rates of wages, hours of work, etc., is qualified. For the worker can now live without him. Nor is there the least doubt of the immediate, strong and practical effect which the provision of decent scales of old age pensions, children’s allowances, and any other distributions of purchasing power will have upon the bargaining power of the wage-earners. The real reason, then, which the great capitalists, and those who consciously or unconsciously speak for them, will always feel that direct distributions of money to the ultimate consumers are a grossly unsound measure, is that it weakens the absolute character of their control over the working population. The capitalists are bound to object that if you give the workers money for anything except work in private profit-making industry, they will get “out of hand”. And so they will; they will get out of their employer’s hand. Surely no democrat will deplore this? But if the employer’s capacity to impose dictatorially the obligation to work upon the rest of the population is ended, it will ultimately be necessary for society to devise a democratic form of self-discipline by which the natural obligation to labour is enforced by society itself. Experience tends to show, however, that this necessity is far more remote than might be supposed. the conservative’s nightmare that if, for instance, the Government paid really adequate relief to all the unemployed, no one would come to work the next day, is grotesquely incorrect- though no doubt the strengthening of the bargaining position of the workers which would result would be remarkable. Moreover, it is perfectly possible to arrange the giving of money to the ultimate cons8umers in such a way that any tendency to enable the slacker to live without working is reduced to a minimum. For the money can be given to sections of the population who are not required to work in any case. The obvious sections are the old or the very young. Really adequate old age pensions, or children’s allowances, paid out of newly created money, are a most valuable part of a programme for re-employing the factors of production in the conditions of economic stagnation which have recently obtained in contemporary Britain and America. (pp. 98-100). And this is what the Tories do indeed fear, and have done. One of the first things Thatcher did was to cut the entitlement of striking workers to social security benefit. It’s why they have been so hard on the unemployed, and replaced unemployment benefit with ‘Jobseekers allowance’. And it underpins the whole of workfare and the sanctions system. It is part of keeping a cowed, powerless workforce desperate to accept any job, no matter how tenuous and poorly paid. And it needs to stop. Now. 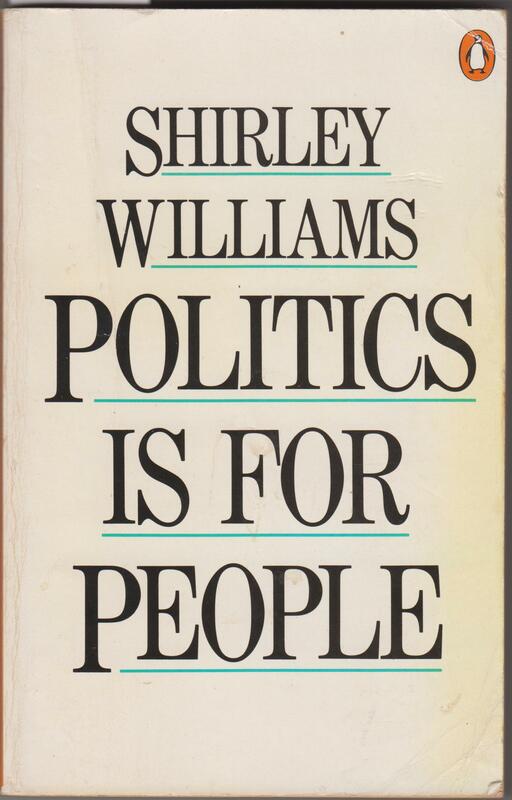 Yesterday I put up a couple of pieces from Shirley Williams’ book, Politics Is For People, in which she attacks the free market ideology of Milton Friedman, and notes how bureaucracy actually grew under the Tories, despite their declared concern for cutting it in the name of efficiency. The former Labour MP and founder of the SDP also has a few critical observations of the various campaigns to cut taxes, and the myth that people on social security/ jobseeker’s allowance/unemployment benefit/the dole are scroungers. A second line of attack, clearly closely related to the reaction against ‘big government’, is on the high public expenditure necessitated by the welfare state. The taxpayers’ revolt began in France with the Poujadist party, wand was later taken up in Denmark, where Per Glijstrup’s anti-tax party had a remarkable, if brief, period of success. it was an element in the 1976 defeat of the Swedish socialist government, and then reached its high-water mark in the triumphant passage of California’s Proposition 13 in 1978. Proposition 13 tied local property taxes to their 1976/7 level, and imposed a 1 per cent maximum on the annual increase, effectively halving the property tax yield. But as the effects of Proposition 13 have been felt on education and other publicly financed services, public enthusiasm for tax cutting has waned. An attempt to pass a similar proposal, known as Jarvis Two, to halve California’s state taxes was heavily defeated in June 1980. The recent history of anti-tax movements is one of dramatic advances which are not then sustained. One particular form the attack on high public expenditure takes, one that is popular and easy to get across in electoral terms, is the allegation that many people are living off the welfare state who could perfectly well survive on their own. Popular newspapers on both sides of the Atlantic give a lot of space to individual cases – and there always are some – of people proclaiming how they have milked the social security system of thousands of dollars or thousands of pounds. Everybody has heard of somebody who can’t be bothered to get a job, or who stays at home living on welfare because his wage in a job would be little more than his welfare cheque. The ‘poverty trap’ – incomes-related benefits which are lost or reduced as the breadwinner’s income rises – provides a rationale for ‘scrounging’. It really is true that some heads of large families may be better off not working. Yet the evidence for large-scale ‘scrounging’ is thin; most people much prefer a job to enforced leisure. Nor is the popular hostility against scroungers a by-product of the welfare state. It has a much older history. Ricardo himself inveighed against the Speenhamland system, under which wages were subsidized by the parish if they fell below a minimum level which was linked to the price of bread. ‘The principle of gravitation is not more certain than the tendency of such laws to change wealth and vigour into misery and weakness’, Richardo wrote in On the Principles of Political Economy and Taxation (1817). It might be Professor Milton Friedman speaking. At the end of the eighteenth century, the indefatigable Utilitarian Jeremy Bentham turned his mind to the rehabilitation of convicts, many of them indigent people without work. He proposed to establish a panopticon, a sort of multi-industry establishment, which he described, chillingly, as ‘a mill to grind rogues honest, and idle men industrious’. Similar wishes are still expressed on the floor of Congress or the House of Commons by ardent Conservatives; only the language alters. (Pp. 30-1). Williams here is exactly right. Mike over at Vox Political, the Angry Yorkshireman and many other bloggers have noted that Thatcher and the Conservatives have consciously adopted the Victorian principle of ‘least eligibility’ in their welfare reforms in order to make living on benefit as humiliating and degrading as possible for those on it, such as the disabled and the unemployed. The incident Mike reported on his blog on Tuesday, in which a woman with dementia was insulted by a member of the DWP, when she failed to answer a security question due to her disability, is an extreme example of this attitude. This just shows how long the Left have known about the extremely illiberal attitude to poverty at the very heart of Thatcherism and its explicit Victorian antecedents. As for the Poujadists, they were a petit-bourgeois, anti-Socialist, anti-trade union party founded in the 1950s. Poujade was a French shopkeeper, who launched a campaign encouraging shopkeepers not to serve striking workers. 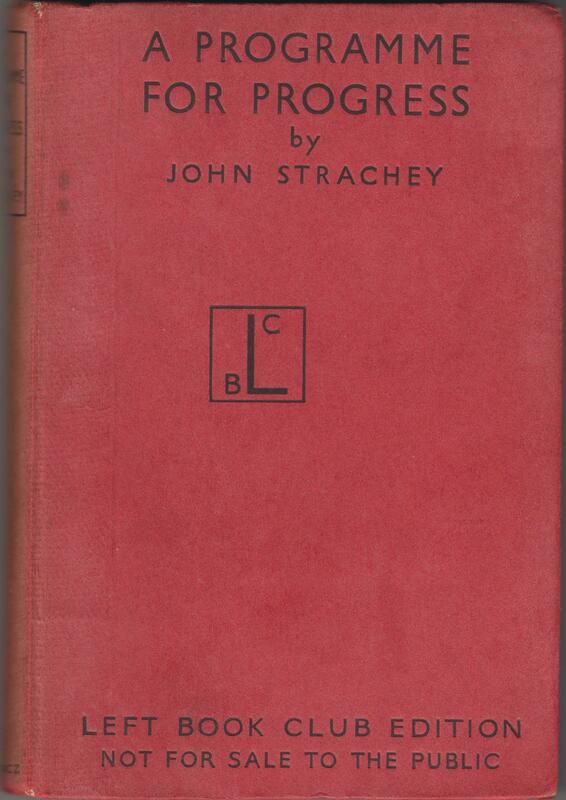 One of the books I read a few years ago on Fascism included them as one of the forms it took in the post-War period. And Michael Heseltine was less than impressed with them, and used them as an insult in his spat with the Leaderene when she was goose-stepping around Downing Street. He called her a ‘Poujadist’, which accurately reflects her socio-economic background as the grocer’s daughter, and her petty hostility to the organised working class. It was a reference lost on the gentlemen of the press, however, who thought he meant she was a ‘putschist’. Well, that too, when it comes to petty Fascism. Williams in her book has many good ideas. It was too bad that she and the rest of her cronies were more interested in splitting away to form the SDP and attacking Labour than squaring up to the Tories. This is a clip from the Channel 4 news review show, The Last Leg, in which the disabled co-host, Alex Booker, says exactly what he thinks about Ian Duncan Smith’s plan to cut Employment Support Allowance to the disabled and long-term sick by £30. Mike at Vox Political put it up on his blog after one of the good people at Channel 4 put it up on Youtube after Mike asked them. This cool deed should not go unrewarded, so I’m also putting it up here. As Mike reports, there is strong language, but it’s a highly emotive policy. I think it deserves all the vitriol expended on it. It’s a cheap attack one of the very poorest groups in society, who most deserve help and support. Booker for his part points out that Ian Duncan Smith is far removed from the people he governs. He’s a millionaire, who lives in a mansion. He recommends that aIDS should be put in a wheelchair, made disabled, and then see how he gets on living on £73 a week and finding a job. Part of Booker’s suggestion – that aIDS should try living like the people his Department is trying to prevent being supported – has been made before. Someone asked the Gentleman Ranker to try living on Jobseekers’ Allowance. Of course, the Stinker turned it down, declaring it to be ‘a stunt’. He was no doubt very aware of how someone had made the same request to one of the Tories under Thatcher. He took it up, and lasted exactly one week before finding himself in a house without food, electricity, gas or water. IDS knows that he could never support himself on the money he expects the disabled to live on, and so doesn’t dare. He’s an immense hypocrite, a coward and a preening bully.